The 17th Non-Aligned Movement (NAM) summit in Venezuela closed on Sept 18, with NAM adopting the "Declaration of Margarita Island" which will guide the development of the movement for the next three years. However, the Global Times understands from people who have attended the summit that in the course of consultations on drafting the document, Singapore had insisted on adding contents which endorsed Philippines' South China Sea arbitration case and attempted to strengthen the contents on the South China Sea in the document. Singapore did not succeed due to unequivocal opposition from many countries. NAM was founded in 1961 and holds a meeting every three years. It reflects the desire of small and medium-sized countries to break free from the control of big nations and pursue national independence, and make an effort to retain influence on major developments in the world. The current summit was held on Venezuela's Margarita Island in the Caribbean Sea, and was attended by about 1,000 representatives from 120 member states from NAM, 17 observer countries and 10 observer organisations. Sources told Global Times that during the consultation process, several countries spoke and clearly opposed strengthening the contents on the South China Sea. The representative of Singapore was flustered and exasperated, and made sarcastic remarks on the stance of countries which objected to its attempt. The representative even used offensive words during the argument, and launched malicious attacks on the representatives of countries taking a fair position. Moreover, during and after the foreign ministers' meeting, Singapore continued to complicate matters by openly challenging the ruling of Venezuela as the host nation, and this was met with unequivocal opposition from many countries. Many delegates expressed unhappiness with Singapore for ignoring the solidarity of NAM and openly challenging NAM's decision-making procedures and convention. Due to Singapore's own self-interests, it continued its pestering during the consultation and meeting, repeatedly delaying the proceedings until late at night, leading to disgust among other countries. Chinese Foreign Ministry spokesman Lu Kang said on Sept 20 that NAM, as a hallmark of developing countries seeking strength for themselves through unity, has played an important role in upholding world peace and facilitating common development. As an observer member of NAM, China has always endorsed the purposes and principles of NAM and attached great importance to the role played by it in international affairs. He said that China will firmly support NAM in having a bigger say in international affairs, keep extending and intensifying the traditional friendship with NAM, and expand mutually beneficial cooperation. China will continue to stand by developing countries and make unremitting efforts to safeguard the common interests of developing countries, jointly build a new model of international relations featuring win-win cooperation and forge a community of shared future for mankind. Singapore took over from Thailand as the "coordinator" for China-Asean ties last year for three years. However, Singapore's behaviour was eye-popping when the outcome from the so-called South China Sea arbitration case launched by the Philippines against China was released in July this year. Singapore was not a claimant state in the South China Sea dispute, but besides Vietnam and the Philippines, Singapore was the only Asean nation which gave explicit recognition to the so-called arbitration outcome. When China and Asean nations reached an agreement on a pragmatic statement which did not mention the South China Sea arbitration during the foreign ministers' meeting, Singapore's Prime Minister Lee Hsien Loong again called on the relevant nations to "respect" the so-called arbitration outcome during his visit to the United States. On Aug 15 and 16, China and Asean nations held the 13th Senior Officials' Meeting and the 18th Joint Working Group Meeting on the Implementation of the Declaration on the Conduct of Parties in the South China Sea in Manzhouli, Inner Mongolia. After the meeting, Chinese Vice-Minister of Foreign Affairs Liu Zhenmin affirmed that Singapore played an important role as the country coordinator in a reply to a reporter from Singapore's Lianhe Zaobao. At the same time, he said: "Singapore is not a party to the South China Sea, and we hope Singapore can actively promote and strengthen the cooperation between Asean nations and China, enhance the coordination and play a bigger role without intervening in the South China Sea." 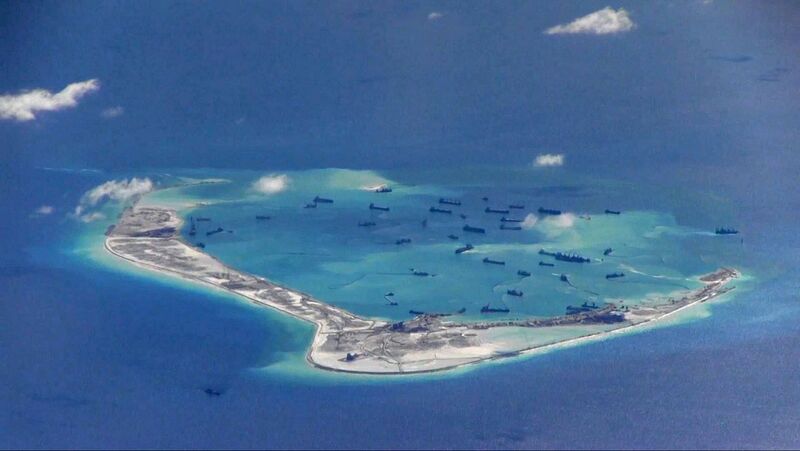 Sources told Global Times that Sino-Singapore ties will certainly be affected if Singapore continued to intervene inappropriately in the South China Sea dispute.